First African American female selected for the Graduate Periodontics Program at the University of Michigan. First Black female licensed to practice Periodontics in Michigan. 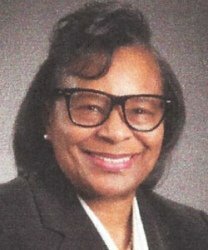 First female President of the Wolverine Dental Society, President of the Detroit District Dental Society and first Black female Trustee of he Michigan Dental Association.